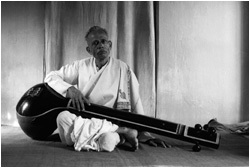 The word Sangeetacharya means, a master musician ,and truly the title was aptly chosen for Gokulchandra who was primarily a sitar player with equal dexterity in vocal music and in esraj, sarod, rudraveena, surbahar, jaltarang, nyastarang, harmonium, tabla and pakhwaj. 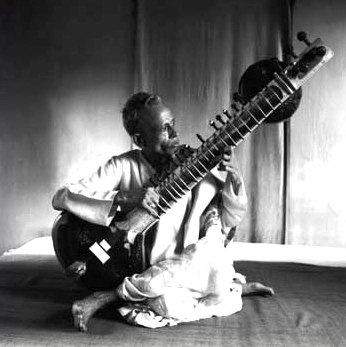 Nobody would believe the truth about this maestro unless one had seen and heard him with his own eyes. 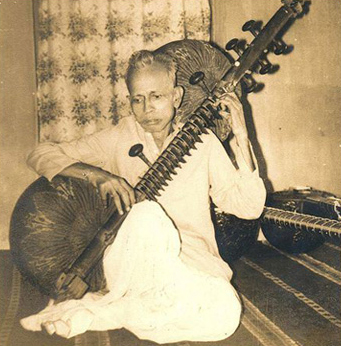 Yet, this brainchild of Goddess Saraswati had lived till his last days in utter simplicity at his rented house in Bagbazar( a most traditional part of old North Kolkata), close to the Ganges( only 5 minutes walk from his home) . 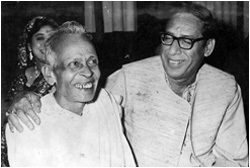 One could feel Gokulbabu walking along the lanes as his voice was always audible, humming a tune or a bandish( a vocal composition) as he passed by the windows of his neighbours. 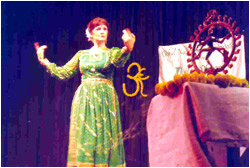 Mita lost her grandfather, a wonderfully self-absorbed musical sadhu, when she was only 14 years old. 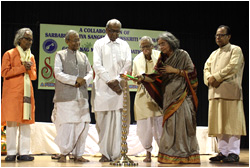 But his memory lighted up her dreams and she fulfilled her desire to keep her grandfather’s name alive by founding this institution. 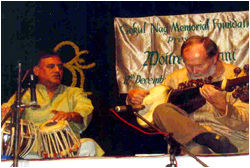 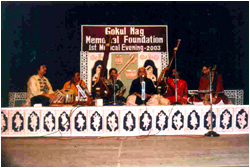 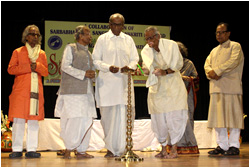 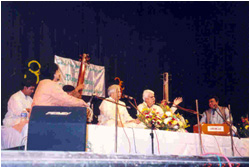 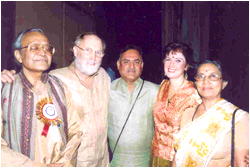 Gokul Nag Memorial Foundation had its august inauguration in 2002 at Uttam Mancha in the presence of the most prominent musicians of Kolkata. 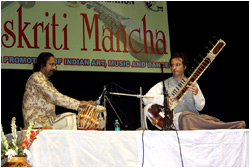 The foundation provides a stage for talented young musicians as well as featuring Maestros in the field. 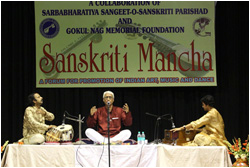 Occasionally , seminars and workshops are held too.This foundation also has a private collection of the music of Gokul Nag and Manilal Nag.